There was late, late drama at St James’ Park as Newcastle’s record of conceding late goals continued. Matt Doherty’s strike deep into stoppage time gave Wolves a deserved win in an action-packed game on Tyneside. In this tactical analysis, we shall look at how Wolves got all three points and moved into the top half of the Premier League table. 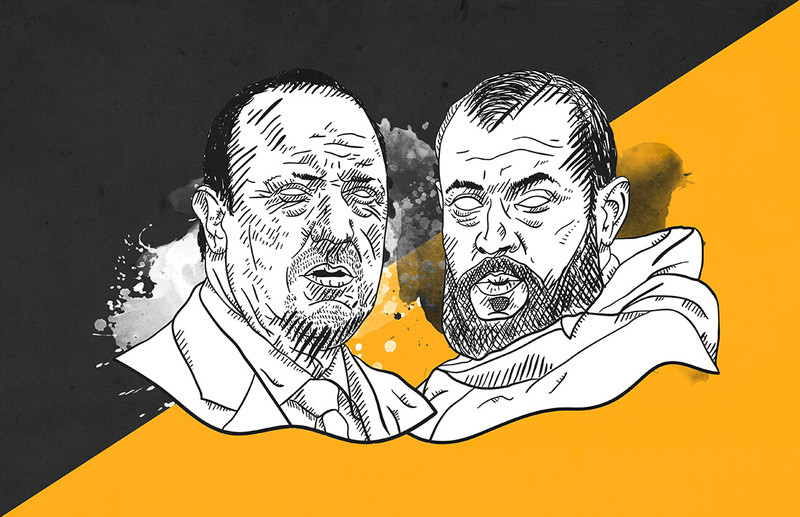 Before we look at how Wolves won their second game on the bounce, let’s take a look over the team news as Benitez and Nuno both opted for some surprising choices. Benitez went for a more conservative approach than he had done in recent weeks by opting to utilise Matt Richie at wing-back. In turn, Ayoze Perez played on the wing and Salomon Rondon was left rather isolated up front for Newcastle. Aside from Benitez’ decision to switch away from the 4-4-1-1 which he had been using at St James’ Park, there were no real surprises in the selections themselves. On the other hand, Nuno decided to make three changes from the team that beat Chelsea. Morgan Gibbs-White, Raul Jimenez and Joao Moutinho were withdrawn for Helder Costa, Adama Traore and Ruben Neves. Nuno seems to be persisting with trying to play Traore through the middle, but it seems to be dying a death. From the Newcastle game, it was more apparent than ever that Traore struggles to play with his back to goal. It was hardly surprising that the game changed when Nuno introduced the three players that he rotated out of the starting lineup. We are going to take a look at how Wolves snatched the victory at the death and how both of the goals in the first half were entirely preventable from a defensive perspective. Yes, you could account the goals to good movement. Or, bad defending. I’ll show you what happened and then you can make your own decision. Potentially a couple of other bits chucked in as well, we’ll see how we get on. One of the best ways to judge who deserves to win a game of football is by looking at the xG and seeing how it all pans out. Now, Wolves are rather notorious when it comes to having a strong xG from a game, but then not converting as many chances as they should. On this occasion, they actually outscored the xG by 0.13. On the flipside, Newcastle’s xG was a measly 0.42 as they struggled to create anything of any real note. After getting the winner midweek versus Chelsea, Jota made it two goals in two games. In the preview for this game, we saw how Chicharito scored for West Ham after some basic movement created bags of space for the Mexican. In essence, Jota did exactly the same as he pulled away from his man as the ball was delivered. Jota is being paid close attention to. From Newcastle’s point of view, there’s not a great deal going wrong here. Costa hasn’t got much room to work in, despite the help from Doherty. Jota and Traore are being marked and everything seems right in the world. So, how did it go from the above image to Jota scoring just seconds later? Jota is now in between the two Newcastle defenders. After a quick interchange with Doherty, Costa has the ball back and has now got ample space to drive into. Something else worth noting is the amount of space that Neves has got in front of him. With Neves having Saiss next to him in midfield, Neves can travel forward a little more as Saiss will just sit and protect the defence. On this occasion, Costa makes the right choice and delivers the ball into the area. A lack of communication between DeAndre Yedlin and Jamaal Lascelles means that Yedlin holds his position. Due to this, Lascelles is on his own against Jota and because the delivery from Costa takes the Newcastle skipper out of the game, Jota just has to finish. It’s not the greatest strike in the world from the Portugal U21 starlet, but Dubravka is beaten, all the same. Five minutes after Wolves took the lead, the hosts were level. Ryan Bennett brought Ayoze Perez down on the edge of the area to prevent him from collecting the ball back off Rondon. It looked like a good bit of defending, providing Newcastle didn’t score from the set piece. Technically speaking, they didn’t. Ultimately, they did. Rondon’s effort hit the underside of the crossbar before it was cleared and it’s there we will join the action. Ayoze Perez is the man who gets the goal to draw Newcastle level. Coady can see him and he’s behind Saiss. You’d like to think that one of them would take charge of the situation. Much like Wolves’ goal, a lack of communication gives the attacker too much time. See below. The pace on the ball beats Rui in the Wolves goal. Perez simply cuts inside and he wins the ball. Coady should’ve done better, though. The Wolves captain should have cleaned Perez out the way while winning the ball. It was very much a half-hearted attempt of overturning possession. Then again, we shouldn’t take anything away from Ayoze Perez as he does very well to get between Saiss and Coady AND put the ball beyond Rui. Afterwards, Newcastle looked the more likely to enter the interval in front as they took charge of the ball and the half-chances. Irrespective of that, it was 0-0 at halftime and something was going to have to give in the second half if either side were going to take all three points. Yedlin got given his marching orders early in the second half after pulling back Diogo Jota as he was bearing down on goal. Benitez argued the toss about that after the game, but there’s no way in the word Lascelles was going to get across to Jota before he reached Dubravka. Not a prayer. Interestingly, Nuno didn’t particularly take charge of the extra man as he stuck to the 3-4-3 he swears by. Saying that, the introduction of Gibbs-White, Jimenez and Moutinho essentially changed the game. It wasn’t any of the substitutions that won the game for Wolves, mind. It was Matt Doherty. After assisting Jota for the winner against Chelsea, he was in the right place at the right time to win the game for Nuno’s side. Wonderfully weighted pass from Moutinho. Joao Moutinho slides the ball to Jota. Doherty, on the opposite flank, runs and runs and runs. Diogo Jota’s ability to keep the ball close enough to his body and zip beyond the Newcastle defence with ease was a tremendous sight. At this stage in the game, surely you’d just bring Jota down if you were a Newcastle player? Just kill the game. The space that Doherty has found ahead of Kenedy is astounding. It’s made all the more impressive by the fact that Kenedy had only been on the pitch for five minutes. Shocking from the Brazilian, outstanding from the Irishman. Once again, you have to wonder why Newcastle don’t just chop the Portuguese player down. Hindsight is a wonderful thing, isn’t it? Diogo Jota stings the palms of Dubravka and Doherty says thank you very much. As I said earlier, Wolves deserved to win on the basis of xG. Whether they did or not in the grand scheme of things is still up for debate. Perhaps they could’ve had Boly sent off for an elbow on Ayoze Perez in the final ten minutes of the game, nonetheless, Boly wasn’t looking at the Spaniard and if that was a red card, then Lascelles should’ve been sent off for pushing Traore in the face. Sour grapes from Mr Benitez, or so it seems. Even though Wolves left it late, Nuno & Co would’ve felt aggrieved if they departed Tyneside with anything other than three points. Despite both sides hitting the bar, there being a late winner and a red card, it wasn’t the greatest of games, not by a long shot. Some might say that those are the games you need to win if you want to do anything in this league and I’d be inclined to agree. After losing to Huddersfield and Cardiff, it would’ve been a travesty if Wolves had lost this. Next up, Wolves host Bournemouth. We’ll be back later this week for that one.